Research & Innovation - Objective 1.2 'Enhance Innovation Capacity of SMEs'. Applications to the call must be received no later than 3pm on Wednesday 21st October 2015. Applicants must be able to deliver upon all of the objective's outputs as detailed within the call. Full details of the call, including expected results and outputs can be accessed here. 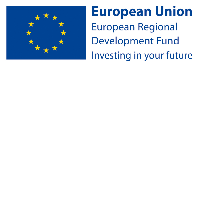 A thematic workshop to assist potential applicants to this call will take place on Wednesday 23rd September 2015 at the Radisson Blu, The Gasworks, Belfast. The workshop will highlight the opportunities available under the call and provide details on the application process.